Australian postcodes are not reliable nor good indicators of areas, but sometimes, in the absence of any other spatial identifiers, we tend to resort to using them. As we only had a list of centroids for each postcode, to better assess the data we need to create polygons. This example shows using the PostGIS st_voronoipolygons() function. Problems with this..? We have inadvertently created a problem that extends the basic postcode problem – postcodes are not all spatially distinct. By this, consider the postcode for Sydney… ‘2000’ right? In fact, there are 152 ‘postcodes’ called ‘Sydney’, and for which the supplied coordinates are 151.2073,-33.8678. 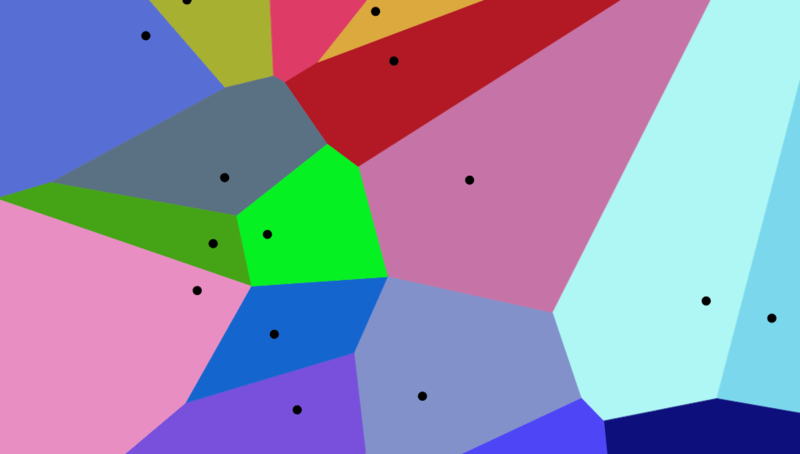 This means, although we create a clean set of voronoi polygons, we then end up with overlapping polygons. In the example image below – the Fremantle Office postcode 6160 is actually sharing with 8 other postcodes (all delivery centres). About 10% of Australian postcodes share their spatial location with between 1 and 151 other postcodes. A better solution going forward would be to not create a polygon for each code, but associate codes with each polygon. Two common approaches would be to link postcodes to a table containing the polygons, or for each polygon provide an object or array holding the details of the related postcodes.